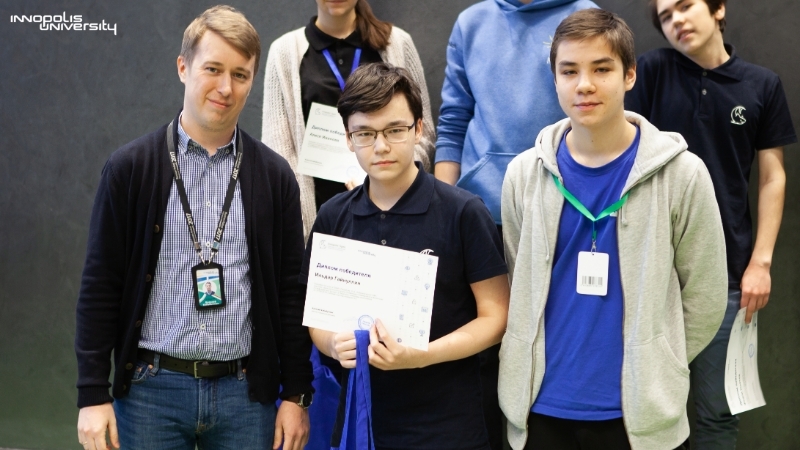 Innopolis, Moscow, St. Petersburg and Vitebsk (the Republic of Belarus) hosted the final competition of young programmers. As many as 174 pupils of 7-11 grades from Uzbekistan, Bulgaria, South Korea, Belgium, Hungary, Serbia, Hong Kong, Israel, Ukraine, the Republic of Belarus and 21 regions of Russia fought for the victory. The Olympiad participants solved the tasks on Informatics at all venues simultaneously during five hours. According to the results of the Oympiad, 13 schoolchildren from Tatarstan, Moscow and the Moscow Region, St. Petersburg, the Kaliningrad and Sverdlovsk regions became winners. Ildar Gainullin, the student of the 10th grade of the Lyceum named after Lobachevsky of the Kazan Federal University, became the absolute winner, he scored 382 points of 500 possible.